2016 is the 300th anniversary of the birth of Lancelot Brown, better known as ‘Capability’ Brown, the acclaimed late 18th century landscape designer. As such he is renowned internationally for his soft informal landscapes and the English style which replaced the fashionable formal landscapes of the early 18th century inspired by Dutch and French precedent. Landowners found these expensive to maintain, so Brown’s designs quickly found favour as they were not only pleasing to the eye but were also productive, accommodating new farming techniques, forestry and sporting activities. Less well known is that Brown also designed numerous buildings placed in his landscapes and some of them are very accomplished. 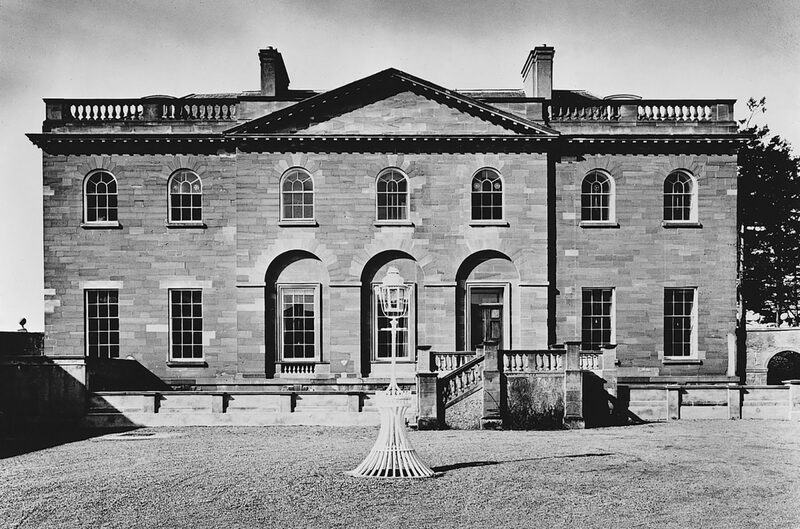 Towards the end of his career he linked up with his architect son-in-law, Henry Holland and at Berrington Hall, Herefordshire they designed an elegant neo-classical house sitting in a new 400-acre Brown landscape. This is particularly notable as it is one of the few examples where both house and setting are designed by Brown, for usually he had to work on existing parks which he modified and embellished. Berrington is also an important project for Donald Insall Associates as we produced a comprehensive report on the building for the National Trust, which led to a phased programme of repairs spread over five years. There it was particularly satisfying to be able to remove a 19th century bathroom tower addition and to reinstate the lost stone pediment facing onto the rear courtyard. So often, much of the work we carry out tends to be discreet, as the intention is generally for only those in the know to realise that work has been undertaken. Here it is possible for visitors to see positive change. 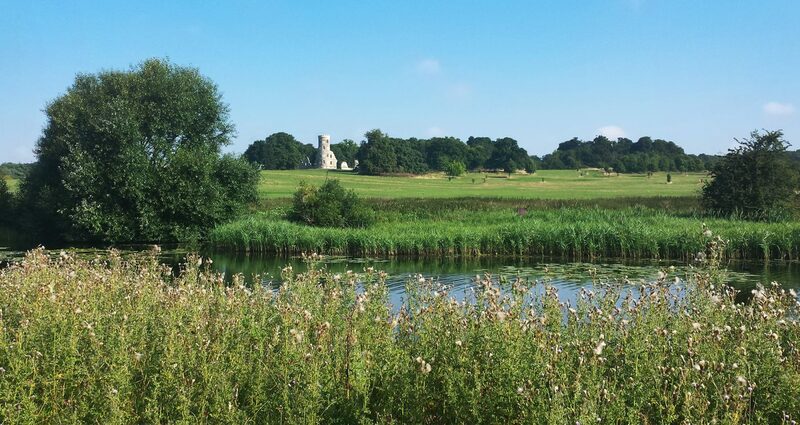 Most recently, we have just completed major conservation works at the Gothic Tower (or Folly) at Wimpole Hall, Cambridgeshire. The Folly is a focal point of Brown’s north park at Wimpole, set on the central axis of the house and nearly a mile distant. 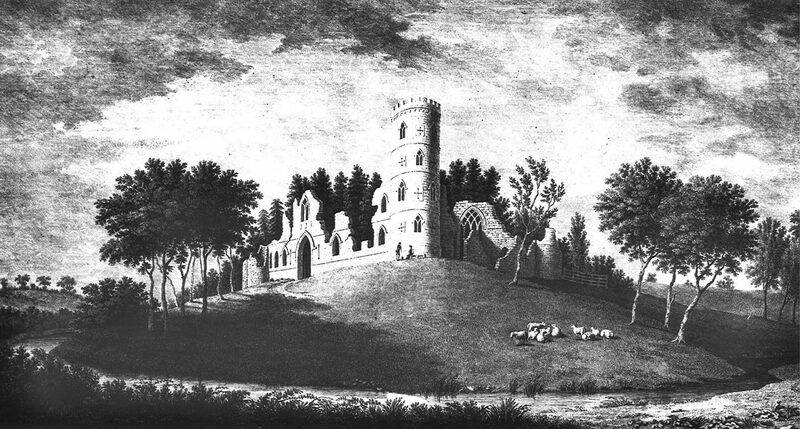 The concept of a folly was first suggested in 1749 by Sanderson Miller, who sketched the ruins of a castle set on the brow of the hill terminating the view along the north axial avenue. But it was Brown, with the assistance of James Essex, who modified Miller’s design and organised its construction, integrating it into the natural landscape he created having swept away much of the earlier formal landscape developed by Charles Bridgeman and thought to be the work of Ludon and Wise. The top floor Prospect Room of the Tower gave extensive views across the new landscape and lakes, the north front of the house and beyond that to the retained two mile long avenue on the south side of the house. Humphry Repton, the early 19th Century successor to Brown, converted the Tower into a Gamekeeper’s Cottage, which was lived in until 1936. When the National Trust was left the estate in 1976 by Rudyard Kipling’s daughter, Mrs Bambridge, the Tower and its associated ruins were in very poor condition and the crenellated skyline built of soft clunch limestone had mostly disappeared. Holding repairs were carried out in 1980, but recently funding has been made available to repair the structures more thoroughly. This has been an interesting and complex conservation issue: the building was built to look like a ruin, so decisions had to be made about the design and reinstatement of lost features of a structure which was in a ruinous state but now needed to be put back into a sound condition which reflected the original design. This project has been awarded a 2016 Civic Trust Conservation Commendation and was named 2016 Europa Nostra Award Grand Prix Laureate, receiving €10,000. This marks the 16th Europa Nostra Award or Commendation for a Donald Insall Associates project. The 650 acre park at Petworth, Sussex is one of Brown’s earliest projects where he had five commissions spread between 1753 and 1765. He reworked an earlier formal landscape and stretched new planting beyond the park into the surrounding countryside. The house on the east edge of the park beside the town is the focus of the layout which features characteristic Brown features such as a lake, shelterbelts, grazed parkland, pleasure ground, walled garden and garden buildings. The latter included a boat house, ice house and temple. In contrast to the Gothic Tower at Wimpole these were classical buildings placed as eye-catchers, or as incidents on a circuit walk. Along with works to the house, we have recently repaired and reroofed the open sided, stone columned, classical Rotunda which is a feature of the Pleasure Ground. The lead roof and its timber structure had entirely disappeared and its design had to be developed from old illustrations. Not all of Brown’s projects were for the aristocracy in spacious settings. When he set himself up as landscape designer, he left employment at Stowe in 1751 and moved to live at Hammersmith Mall alongside the River Thames. 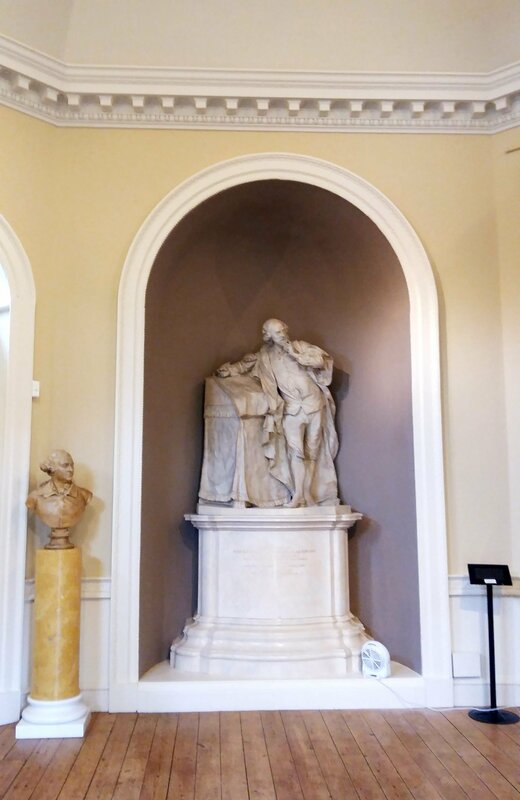 The builder Henry Holland (father of his son in law) was a neighbour and he had artistic friends locally, including the actor-manager David Garrick who built a classical temple ‘to celebrate the genius of Shakespeare’ in the grounds of his villa further up the river in Hampton. It is widely considered that Brown helped Garrick with the layout of the grounds around the house, including the unusual tunnel underneath the road which separates the house from the river bank garden where the temple sits. 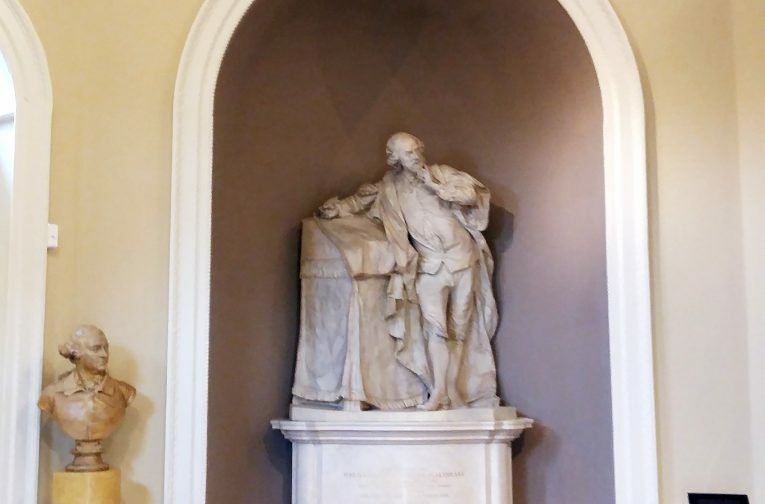 The practice has carried out extensive work to repair the temple which now contains a life-size replica of Roubiliac’s sculpture of Shakespeare to replace the original. Many of Brown’s landscapes have been neglected, built on, or lost and as his style has had many imitators there is often debate as to whether or not a landscape is by the hand of the ‘Omnipotent Magician‘ as a contemporary described him. A fragment of a known landscape survives in Wimbledon, which is the remains of the park which surrounded Earl Spencer’s, Wimbledon Park House. In 1765 Brown dammed a stream to form the 30 acre lake (which remains) and remodelled the landscape. In 1790 Hannah Moore wrote “I did not think there could have been so beautiful a place within seven miles of London. The park has so much variety of ground and is as un-Londonish as if it were a hundred miles out.” The area has been developed since 1850 and we are currently working at the 16th century Old Rectory, a Listed house which sits on the edge of the original park and overlooks the modern golf course beside the lake. 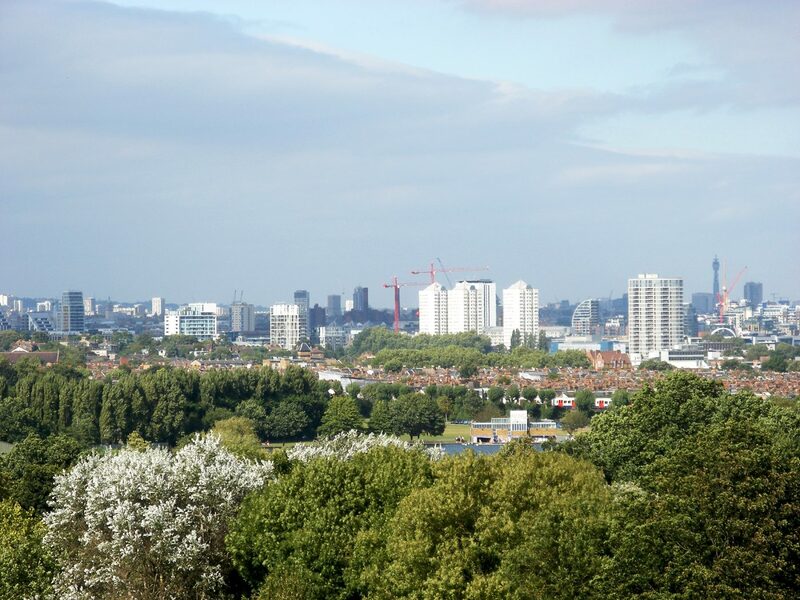 There are still amazing views from the gardens to the north-east across London, but sadly it is an urban prospect and no longer the Arcadian panorama which Brown envisioned.